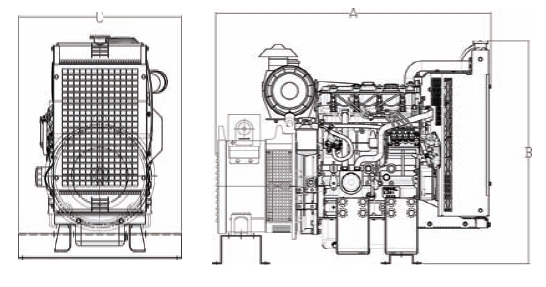 Perkins 403D-11G three cylinder diesel engine, paired with a Mecc Alte alternator head and controlled by an industry leading DynaGen GSC300 digital controller. Call 877-902-2288 or email Sales@AffordableGenerator.com for more information or to place an order. Three (3) Phase Option [Add $400.00]Cost for three (3) phase option. 3 Cylinder Perkins Diesel Engine for maximum durability, reliability and efficiency.